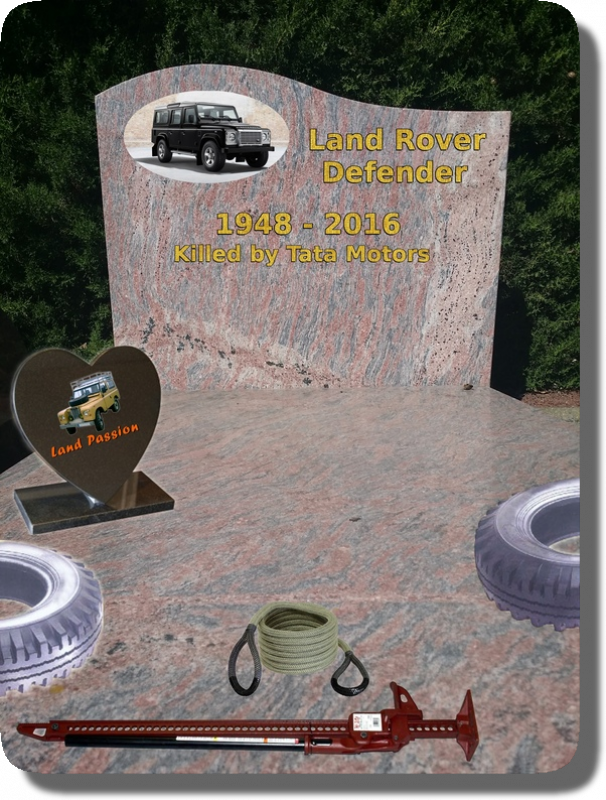 The Land Rover Defender (1948-2016) killed by Tata Motors. 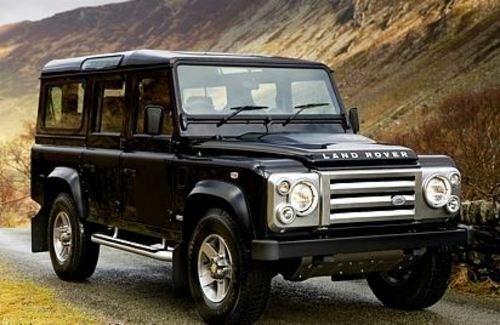 2016, which marked the world by terrorism, Tata Motors to wound the Defender to increase profits by making these no longer true 4x4 crossing, but Simple 4x4 SUV unfit work, the fragile quality and simplified mechanical , as already do all manufacturers of European urban to target the general public without actually professional requirement. 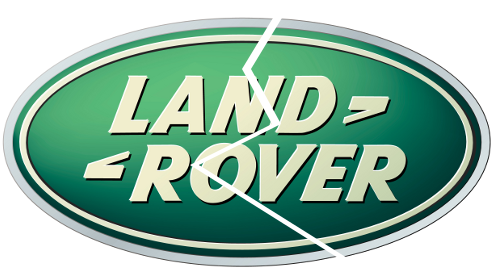 The Land Rover brand to so abandoned by his remarkable Defender despite customer orders that will never dry up since 70 years, forcing customers to buy 4x4 American or Asian brands still designed for the job. Here, we not cry ' the icon of Defender ', nor marks her(it) Land Rover who gave in to the easy profits become by concequance a make of car without more interest than the others, but we cry The Defender this unique multifunction europeen commercial vehicle, 4x4 of crossing complete with its power of load impressing, its various declensions, its varied equipments, this vehicle which finally for many stays the vehicle of a whole working life. Send I your complaints to Defender by email, I would publish them this below.